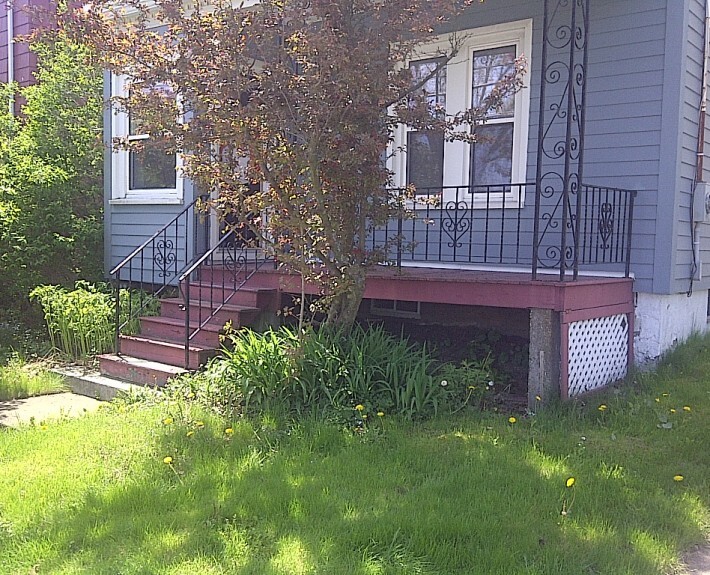 Another great front yard transformation! 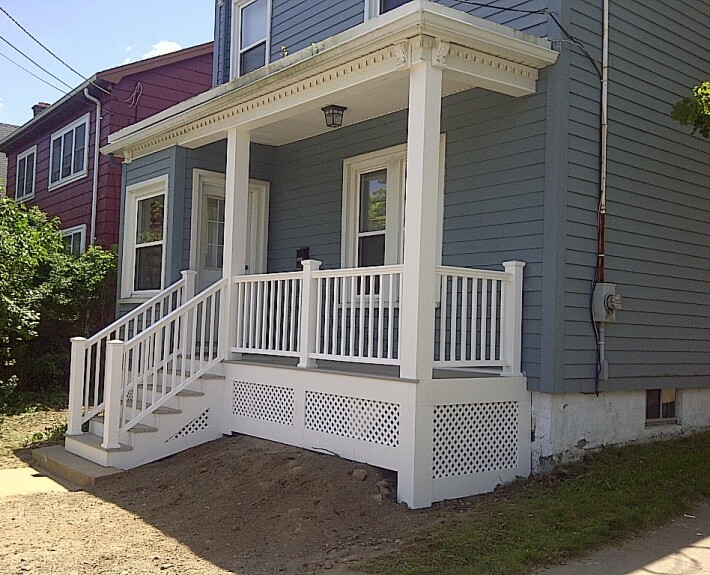 With the property facing a heavily traveled road this homeowner wanted to get rid of the outdated and unsafe front porch and replace it with something modern and eye catching. Mission accomplished! The end result was a full composite front porch complete with composite decking, vinyl skirting and a properly supported roof finished with PVC clad roof columns.